Outstanding View over the Port. Close to restaurants and shopping. Adequate WiFi. Very close to Harbour for the ferry. Great views. Very Close to the tavernas. Excellent host, a real character, very helpful. Good stopping off point before onward journey. The apartment was very clear and spacious but it was located far from the port as indicated. We stayed in a great room which had kitchen facilities. There was a good view of the port area. The host was looking for us when we got out of the taxi. 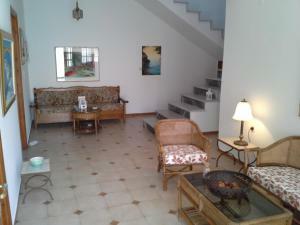 The property is close to the port and shops, cafes etc. Just in front of the port, so easy when the boat is leaving early (but not if you want to get some sleep). Cleanliness was ok. Nothing. We were told on arrival they did not have the 2 room for us even though booked 4 months previously. 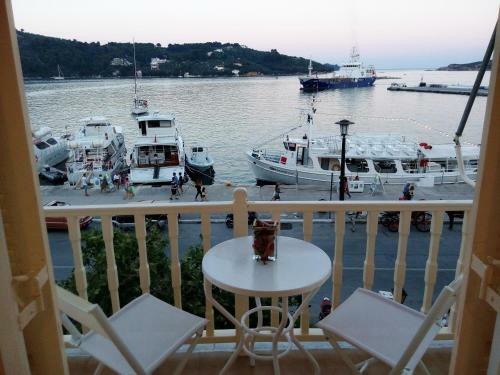 Lena Apartments offers studios and apartments scattered around the town of Skiathos. Located within 1,000 feet from each other, the units come with free WiFi and air conditioning. 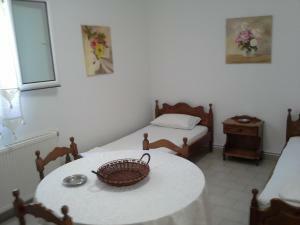 Lena's apartments are furnished and equipped with fridge, coffee machine, satellite TV, bathroom and hairdryer. Some units open to balconies with views over the port or the picturesque alleys, while some of them are equipped with kitchenettes. Public parking is available in some of the units. 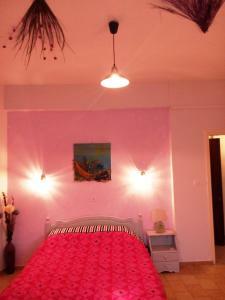 Shops, bars, restaurants and local attractions are within walking distance. The main bus/taxi stations, as well as the Ferry Terminal ticket office are located next to Lena Apartments. When would you like to stay at Lena Apartments? Air-conditioned apartment with a well-equipped kitchenette and a balcony overlooking the sea or the surrounding area. A TV with satellite channels is available. Please note that the units are not located in the same complex, but are within 200-984 feet from each other. Please note that view and bedding type are upon request. 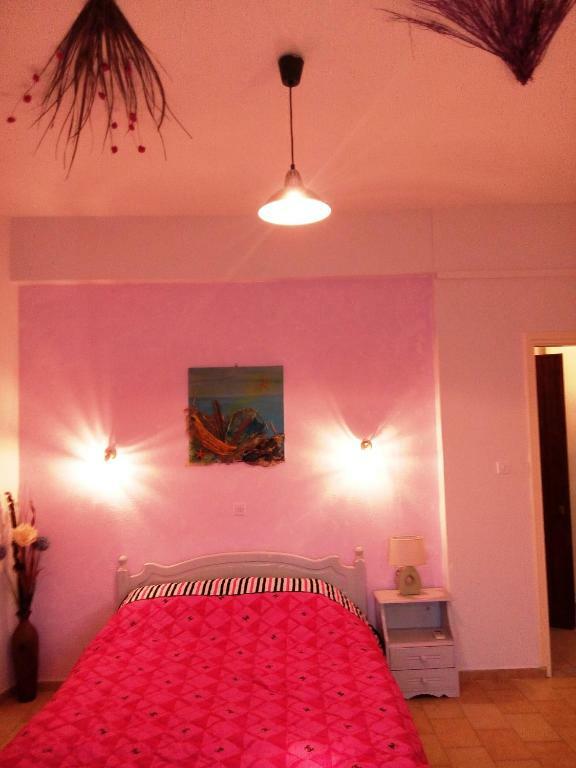 Air-conditioned apartment with a balcony overlooking the sea or the surrounding area. A TV with satellite channels is available. Basic equipment for making coffee is available. Η τοποθεσία, η διακόσμηση και η πρόσβαση στα λεωφορεία, ταξί, εστιατόρια, καφέ, σούπερ μάρκετ. House Rules Lena Apartments takes special requests – add in the next step! Lena Apartments accepts these cards and reserves the right to temporarily hold an amount prior to arrival. Please note that the units are not located in the same complex, but are within 200-1,000 feet from each other. Please inform Lena Apartments of your expected arrival time in advance. You can use the Special Requests box when booking, or contact the property directly using the contact details in your confirmation. Looked a bit tired,could do with redecorating but it was the end of the holiday season. The reservation did not match with the rooms we get and a long process of money refound started mediated by booking...is not a pleasant situation for vacantion and the confort is altered.The fotos of the property and reservation on the site are quite confusing because as is written on the site and terms of reservation, Lena studios is a group of properties. You don't know what you will get. But location is clean and near center. Good location near the centre. It could do with a curtain to pull over the door to give a bit of privacy when leaving the bathroom. No address given on booking as they have apartments all over town which I didn't know , so had to wander around Skiathos, telephoned the lady but no answer for 1/2 an hour. She asked me to meet her at the bank. I met her and then there was much confusion and then she got me onto her scooter with all the bags to take me to the apartment with no helmet which was frightening. The apartment was clean but dark and only view out was a balcony overlooking a dusty and noisy side street. 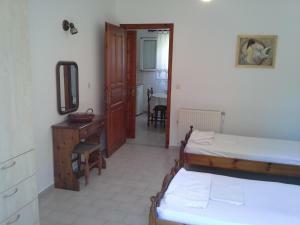 At 140 euros for a family room for 1 night, it was steep and I wouldn't recommend I'm afraid. 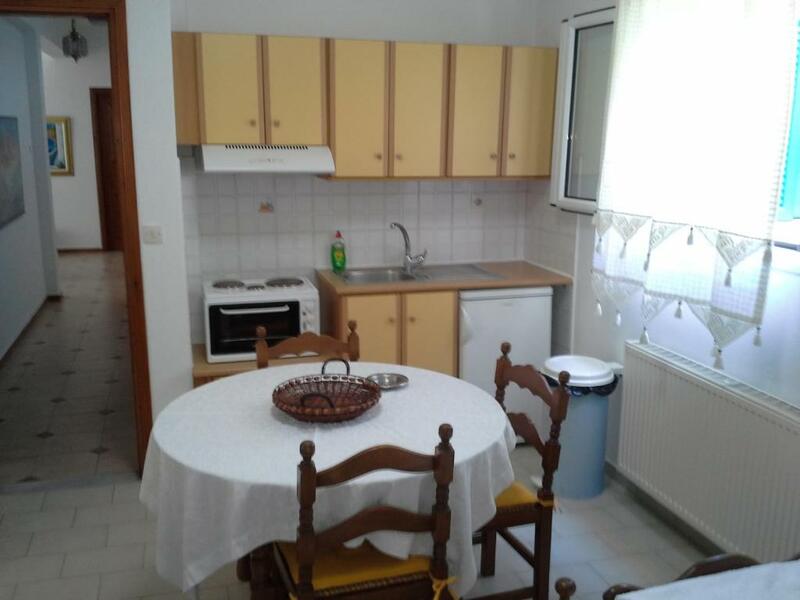 Apartment near centre of town and was clean. We would have appreciated a bit more contact with the owner. 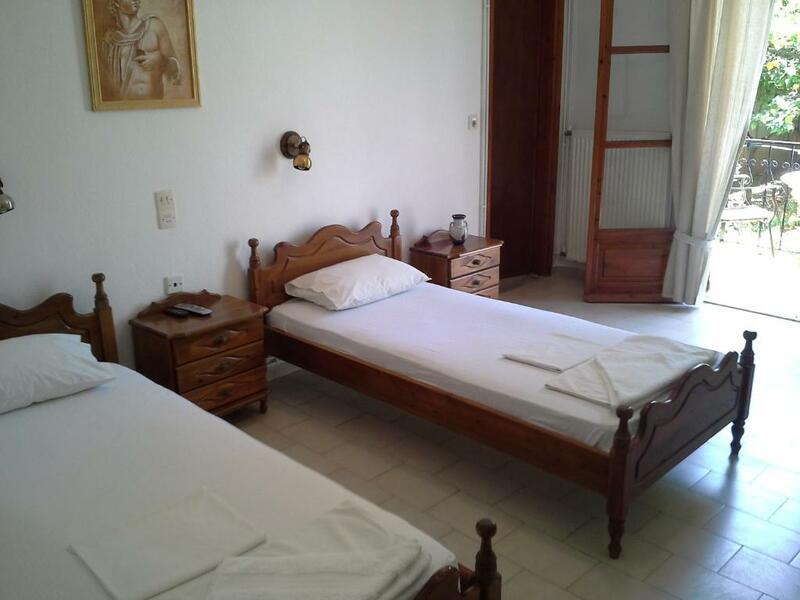 Also, we were strongly disappointed when, after our stay, we found out that the owner charged us a larger tourist tax than the official one (0.5€ per night). When contacted to justify this anomaly, the owner claimed that the additional money was "a tip for the cleaning lady". Defintely not a professional behaviour. The studio itself was ok and we enjoyed our stay. There where no curtains, it smelled very bad like a sewer, the bed was hard and the airconditioning didn’t work good. Poor location, no one present on arrival, insisted on cash payment, expensive.